Whether you’re walking city streets or hiking hilltop trails, stay organised and carry your kit in comfort with the AirZone Z Duo ND25, a versatile women’s multi-use backpack. With a ventilated back and dual access, the Z Duo is ideal for days spent hiking, biking and exploring. The AirZone Z Duo ND25 features twin compartments with a zipped divider. Zip access at the top as well as lower entry gives wide access to the contents, while a front stash pocket means it’s easy to grab items you want quickly. A zipped top pocket, key clip, and stretch water bottle side pockets help organise your gear. 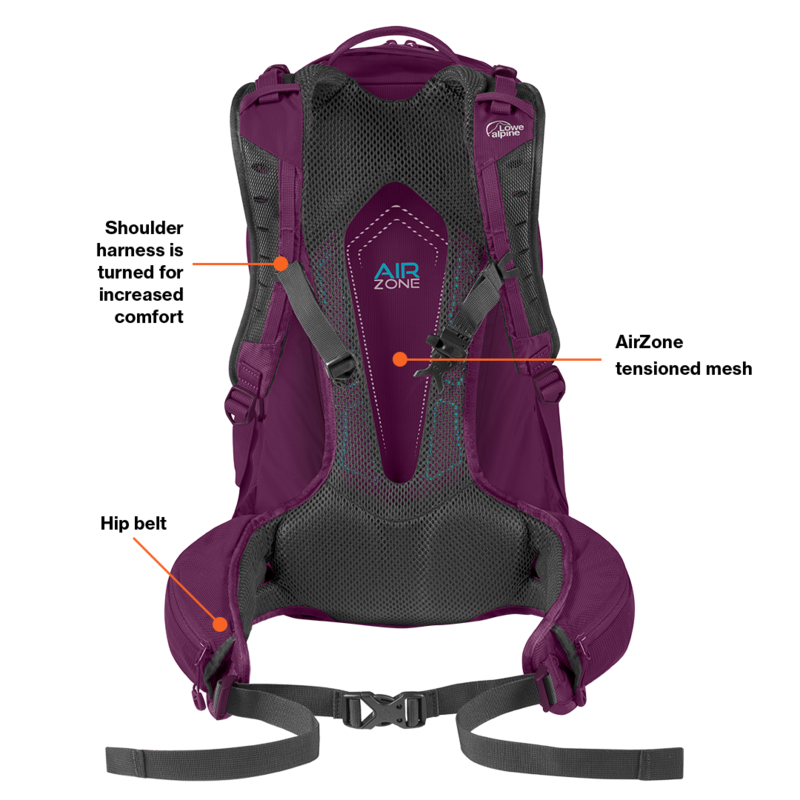 Featuring the Fixed AirZone carry system, the AirZone Z Duo ND25 uses tensioned mesh and a large cut out space to reduce weight and allow air to move freely between the pack and the wearer’s back. Hydration compatible, and with TipGripper walking pole attachments and rain cover, the AirZone Z Duo ND25 is ideal for day hikes and multi-use.